The Railyard, located on Guadalupe between Montezuma and Cerrillos Rd., has long been a focal point for transportation in Santa Fe. Over 100 years ago, in the year 1880, the Santa Fe Railway Company pulled its first train into the Santa Fe depot, putting an end to horse and wagon travel along the Santa Fe Trail. The railroad brought tourists and new residents, including artists hired by the rail line to draw and photograph images of Santa Fe, designed to entice faraway Easterners to come see the West. New neighborhoods were created around The Railyard to house the workers and their families, leading Santa Fe’s Railyard to become a center of activity of Santa Fe. The Railyard stayed a central hub until rail transportation gradually gave way to modern day highways and airports. 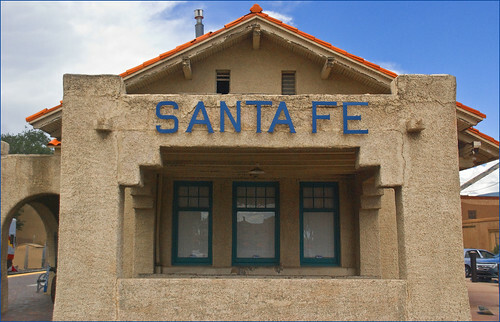 As seen in so many other locations around the country, Santa Fe’s station, tracks, equipment and surrounding neighborhoods began to decline with the decline of the railways themselves. By 1987 it was designated as a neighborhood needing redevelopment. 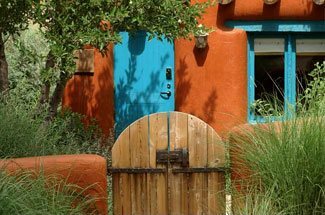 When the citizens of Santa Fe came together to plan the future of the Railyard, they decided on an area that would celebrate and embrace history, the arts, culture, landscape and environment. The overall goal of the redevelopment of Santa Fe’s Railyard district was to reflect the original rugged, industrial look of the old rail complex, while still allowing for local business opportunities to develop. The new and redesigned Railyard district reopened in September, 2008, and was recognized as the rebirth of one of Santa Fe’s historic locations. While there is still development to come, The Railyard is home to a vibrant mix of tenants serving the diverse interests of the community. 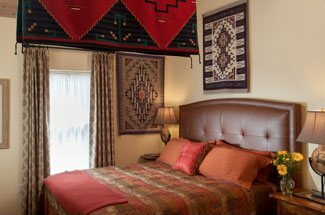 Tenants range from deeply rooted non-profits such as the Farmers Market, the internationally renowned arts organization SITE Santa Fe, and the Hispanic cultural center El Museo, to an eclectic mix of restaurants, performance art spaces, shops and contemporary art galleries. When the revitalization of the Railyard is complete, existing studios, galleries, museums and community organizations will be complemented by live-in artist studios, a permanent structure for Santa Fe Farmers’ Market, a cinema, and more than 13 acres of open space including a park, plaza and pedestrian promenade. 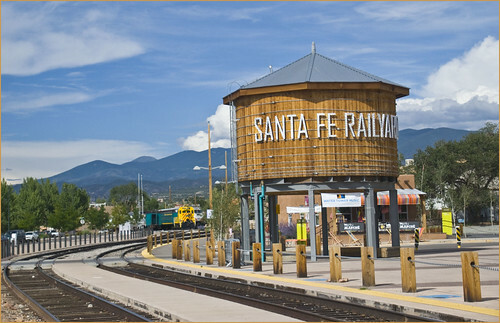 While the historic Santa Fe plaza has long been known as the cultural and political center of town, dating back to the El Camino Real (the Spanish Royal Road from Mexico City), the Santa Fe Trail, and the Old Pecos Trail, The Railyard is once again considered the hub of Santa Fe cultural life.